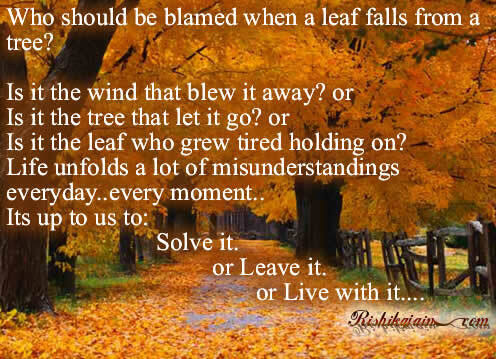 Who should be blamed when…. Is it the tree that let it go? Is it the leaf who grew tired holding on? Life unfolds a lot of misunderstandings everyday..every moment..